Some on the liberal end of the anti-fascist movement have argued that “no platform” is dead and free speech the best antidote to the far-right. This argument rears its head time and time again, but it bears shooting down every time. Today, a Robert Sharp posted a short blog on Liberal Conspiracy to argue against no platform. It is, he argues, “counter-productive” because when fascists have a platform “they expose themselves as incoherent and small-minded, and it gives the rest of us a chance to argue against them.” It’s actually a fairly standard liberal argument. I think you have to look at the mindset at the person behind it. The tweets against Tom Daley were horrible, but some people’s lives are made an absolute misery every day by this abuse. We have to pay that attention. 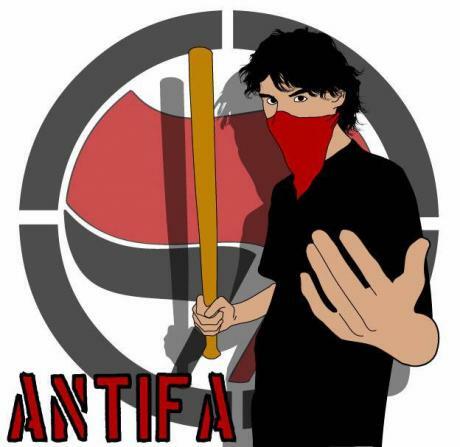 There’s been a long history in the anti-fascist movement of “no platform”, but a lot of those principles have become outdated, because of new technology, people have a platform online. I’m not going to sign up to a Twitter debate with Griffin, that’s beyond the pale. But at the same time we need to do more to take on their ideas in the blogosphere, there are ideas are out there in swathes. Or we sit on the sidelines, condemn them, and refuse to engage, that’s when we look like the pro-censorship group. The more controversial things they say, the more attention they get. It’s actually easier with people like Nick Griffin and David Irving. But there’s mainstream hatred of Muslims all over Twitter. We have to be in the argument, expose their ideas. Taking on the first point, myself and other militant anti-fascists have explicitly argued on a number of occasions against using the state to get rid of fascism. For example, Tower Hamlets ALARM argued against banning an EDL march in their area two years ago. The reasoning, seemingly obvious, being that if the state gets a mandate to ban political groups or demonstrations, it will not limit itself to the fash. State intervention is a worrying turn, the State stepping in and banning EDL protests is not a sign of a left wing section of the State acting, or even an Islamic element gaining strength, it is a sign of a further move to a totalitarian State. We already have the camps in Yarlswood, thug police that get away with murder and an ever watching State gathering information on us. We don’t need to campaign for them to ban political groups. Today the EDL, tomorrow us. Even before the march took place, this warning was proven to be remarkably prescient. Rather than ban that one march, the police banned all marches across five boroughs for the whole of September. Conveniently, alongside the EDL this caught out a Disarm DSEi protest against the world’s largest arms fair. Militant anti-fascists have consistently argued against such bans every time they crop up. Because we believe, with good reason through long experience, that the state is not a reliable proxy for anti-fascism. That is the task of the organised working class, through direct action, something which the liberals who would “reason” with the Nazis baulk at. They baulk because for them the whole thing is an intellectual exercise, and they remain divorced from the reality of struggle against fascism. It must be said, before moving on, that one element of that struggle is propaganda. Contrary to Lowles’ arguments, militant advocates of no platform don’t “refuse to engage” with fascist ideas but in fact do so in a way that he never would. By arguing against fascism on a class basis, on working class estates, and with the very people the far-right sees as their core recruits. Because this is a material reality that makes taking of fascism through pure reason nigh-on impossible – class. The far-right, whether in more openly violent form or having traded boots for suits, preys upon the alienation and disenfranchisement of the white working class. We are alienated and disenfranchised because of capitalism, of course, as our communities are torn apart, our jobs go and we struggle to scrape by. But the system itself uses racism and migration to both divide the class and distract from the real culprits behind our misery, whilst the left is nowhere to be seen. Pretty hard for reason to win out when those offering the wrong answers are the only ones offering answers. Militant anti-fascists do engage and challenge this situation, but it is an uphill struggle we face. The other side of the coin, in terms of why anti-fascism cannot be boiled down to a battle of ideas is that fascism is an ideology rooted in violence. It is hard to reason with those kicking your head in or gunning you down as you run for your life. And of course it is the white, middle class liberal advocating freedom of speech for Nazis who is least likely to be on the receiving end of such attacks. Bad ideas ought to be challenged, yes, and giving the state a mandate for repression is a bad idea in any case. However, this is not an argument against no platform but one in favour of it. If this seems counter-intuitive, it is because outside of militant circles the concept of no platform has been boiled down to simply not letting Nazis air their views. To liberals, this means censorship. In practice, however, no platform is so much more – namely, direct action that prevents fascists from gaining a platform to organise. There is a distinct difference between the right to free speech and the right to organise. Racist comments and ideas should be challenged and opposed, but a distinction must be drawn between this and incitement to violence/active recruitment to fascist organisations. […] Attempts by fascist groups to recruit members to fascism cannot be tolerated by an anarchist organisation. If such groups are not smashed when they are small, they will inevitably grow to a size where they will feel confident enough to attack immigrants, workers’ organisations, etc. This is what militants mean by no platform – using all physical and direct action means to prevent fascists from organising and from putting their ideas into practice. It’s not easy and it’s not pretty. But it’s not outdated either, and it will make them think twice about attacking minorities and make it more difficult for them to recruit and organise.